Learn more about these unique observances through activities, displays, food & more! This free program is family friendly & open to the public. Monday Game Night – Bring your own favorite board and card games or play games owned by the library. Play games like Magic the Gathering, Catan, Munchkin, Clue, Risk, Apples to Apples, Monopoly, and more! Between Thanksgiving and New Year’s, we hold special one-time events instead of weekly programs. Join us as we celebrate winter and The Holidays in this special story hour made especially for our youngest patrons. Features favorite songs like “Snowflake, snowflake,” and mess-free crafts perfect for holiday gifting or hanging up at home. It’s easy to tell a story with the right inspiration! 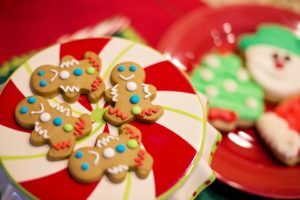 Participants will receive a gingerbread man to decorate with provided supplies, then, in small groups, will write a group story featuring the characters they have created. Please notify Ms. Neena of children’s food allergies prior to program. PLEASE NOTE: This program will be rescheduled. This program is for ages 10-18. Between Thanksgiving and New Year’s, we hold special one-time events instead of weekly programs. Join us as we celebrate winter and The Holidays in this special story hour designed to make the season bright. Features favorite songs like “Snowflake, snowflake,” and mess-free crafts perfect for holiday gifting or hanging up at home. Santa Claus and Mrs. Claus will be making their annual visit to our library in the month of December. Families with children of all ages are invited to meet with the couple, have a photo taken, and receive a small toy or book to take home. Don’t want to stand in line? Register now so we can reserve time for your family, and you won’t have to wait so long out in the cold! If your family would benefit from special accommodations for family members with mobility or disability concerns for this event, please directly contact Ms. Neena at children@pawlinglibrary.org or 845-855-344. Between Thanksgiving and New Year’s, we hold special one-time events instead of weekly programs. Join us as we celebrate winter and The Holidays in this special story hour designed especially for preschoolers to enjoy. Features favorite songs like “Snowflake, snowflake,” and mess-free crafts perfect for holiday gifting or hanging up at home. The book club will discussing The Drowning House, by Elizabeth Black. Habrá picaderas y cuido de niño gratis. Con las maestras Mrs. Boutros y Inginia Del Rosario. Este programa es más relevante para los padres y cuidadores de niños en la escuela primaria y para los padres y cuidadores quienes desean ayudar a sus hijos con la lectura aunqué no hablan inglés con fluidez. Los padres son el primer educador de un niño.Las investigaciones muestran que cuando los niños/as leen en su casa en su idioma natal, ellos/as pueden aprender el segundo idioma más rápido. Este taller ofrece oportunidades para que las familias se reúnan para aprender algunas maneras en que se pudieran seguir ayudando a sus hijos con las prácticas de la lectura en el hogar. With teachers Mrs. Boutros and Inginia Del Rosario. Snow date: 12/19, 6:00 – Pawling Elementary School – The program would only be held on this date if snow prevented us from holding it on 12/13. Parents are a child’s first educator. Research shows that literacy practices at home by families are more important to a student’s success than a family’s education or income. This workshop is designed to provide opportunities for families to come together to learn ways they can continue helping their children with literacy practices at home. The presenters are fluent in both English and Spanish and will lead the program bilingually. This program is most relevant for parents and caregivers of children in Elementary school and parents and caregivers who are not fluent in English but want to provide their children with literacy support. Please note: This sculpting workshop is for adults. Esteemed musician, puppeteer, and family performer, Lydia Adams Davis, will lead an inclusive songwriting class. Pre-readers welcome – no musical experience necessary! Participants in this program will be invited to perform live during Lydia’s evening concert, 4:00-5:00 pm. Please note that this is an offsite program. For more on Lydia’s music, visit lydiaadamsdavis.com. 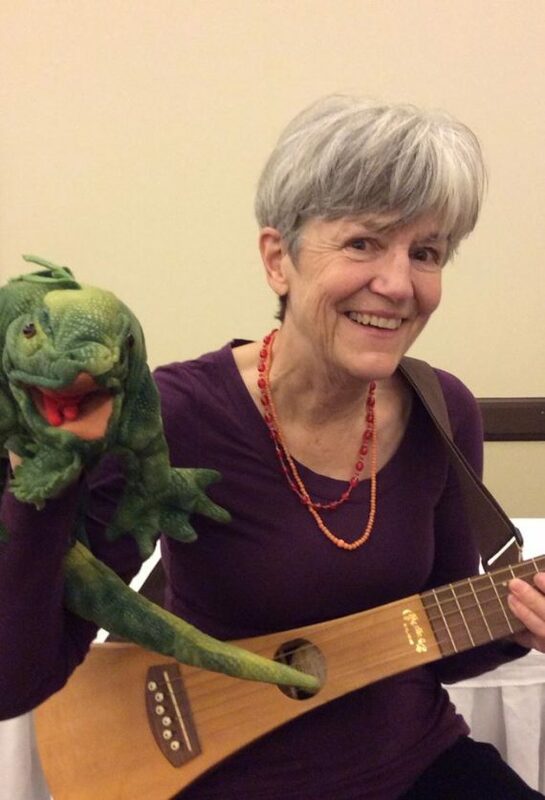 Musician and puppeteer Lydia Adams Davis will perform selections of her own music as well as sing-along favorites during this live, interactive concert for all ages. Davis’ performances have been praised by The New York Times, “Best of the Hudson Valley”, and more. The book club will be discussing The English Wife, by Lauren Willig. Let’s celebrate the coming of the New Year together in style! We will have music, sparkling grape juice, snacks, games, selfie props, and more!